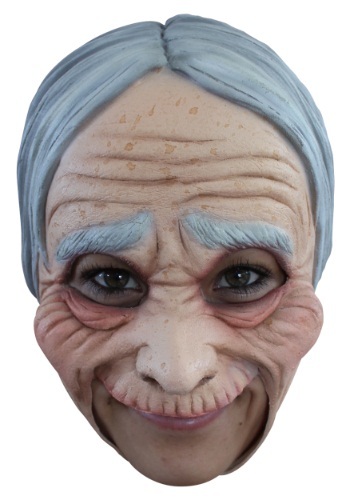 Whether you want to be a kindly grandmother or a cranky harridan, this Auntie Mask will give you the look you want! "Oh, come a little closer deary, so I can see you better, and pass me my cane will ya?" Now you can age decades in a matter of minutes. 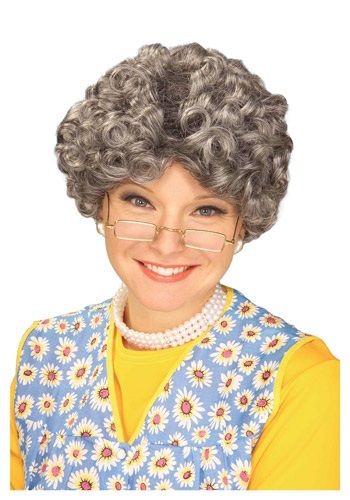 Look older, and indeed wiser, when you wear this Grey Old Lady Wig. You can decide if you want to be a sweet old grandma and bake cookies or a cranky one and yell at all the kids that wander on your yard. Grandmas are lovable for many reasons. They love making oatmeal cookies, they love knitting scarves, and they love telling the same stories over and over again. How endearing! This costume is perfect for little girls who demonstrate the wisdom of someone well beyond their years. 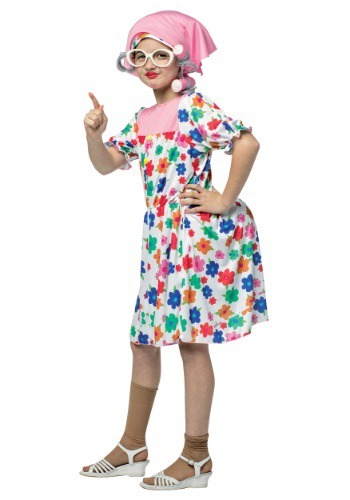 She'll love walking in the shoes of her elders when she wears this Kids Grandma Costume! Just make sure she doesn't try to move into the local nursing home. He'll suddenly have an urge to tell people to get off his lawn! He also might get cravings for butterscotch candy. Don't be surprised if he wants to stay in and play gin rummy all day either. Your young boy is turning in to an old man! 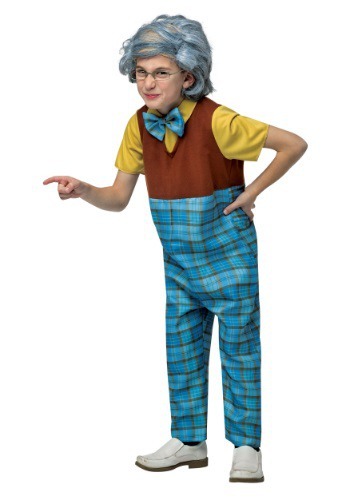 This kids grandpa costume will allow him to skip ahead a few decades and experience life as a senior citizen. If you keep your face like that too long it's going to freeze that way! Looks like your older sister was right. Look continuously sinister, without freezing your own face, with this Miss Bitchy Mask. Get off my lawn! Watch where you're going with that thing! Yeah, yeah. We've all heard it. 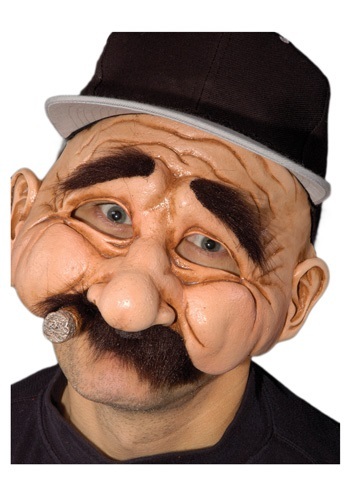 But now it's your turn to be everyone's favorite bad-attitude neighbor with this realistic Mr. Prick Mask. They say age is like a fine wine, that it only gets better with age. Now you can gain that grace and wisdom that comes with getting older in seconds when you slip on this Old Lady Mask. This is the perfect way to get those wrinkles without having to wait for time to pass this Halloween and complete your older woman costume. Hey you lousy kids, you better get off my dang lawn before I come after you with my walker! Now you can imitate the grouchy old man at the end of the block who despises all children...actually all people, with this Old Man Costume. 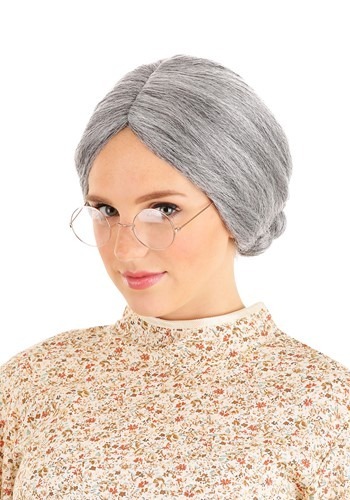 Be the crotchety elderly person that you will some day become with this funny costume! Have you ever dreamed of joining the ranks of legendary thinkers throughout history? Even if you are no Einstein, you can at least look the part! This Smartass mask is designed to look like a historical genius, and with the movable jaw on the mask you'll be able to share some of your own theories while disguised as a wise old man. Lament the youth of today and reminisce about simpler times in this Stan the Man mask. 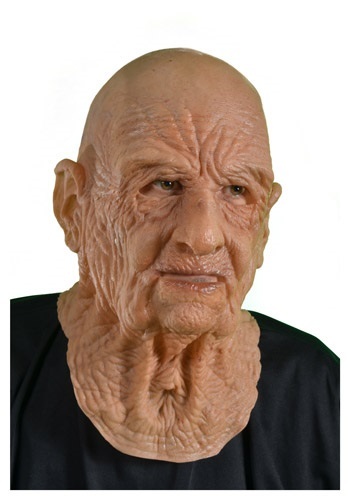 This detailed half mask will turn you into a senior citizen in an instant! What's that sonny? What did you say? You'll have to speak up a little louder. You will be truly unrecognizable in this Supersoft DOA Mask. Comb overs are the wave of the future. Sure, guys who wear them now, might just be a laughingstock to most people, but our guess is, in about 5 years, they'll be the coolest! That's why you need one of these bald man wigs. When the new trend hits, you don't want to be stuck with a full head of hair. Of course, you could always just use this wig to look like your dad's weird friend, Bob. Seriously, what is the deal with that guy? There are three main things you need to pull off the ultimate old man costume. 1. Pants hiked up to your chest with a pair of suspenders. 2. Grey hair. 3. 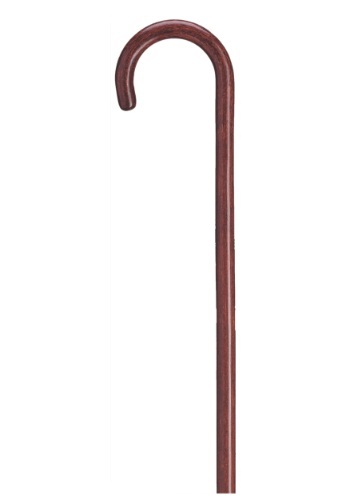 A wooden cane. These are the trifecta of oldness and if you add them all together you won't be able to resist yelling for the kids to stay off your lawn and to turn down their loud music! Now you can get gray within a matter of seconds! Well that is not something you hear everyday but the good news is- it's reversible! This Yo Momma Wig will make you look elderly and is ideal for males or females.